driver’s side of the windshield. Take the elevator or the stairs (located in the southwest corner of the parking garage) to the Lobby Level (L). Upon exiting the elevator, proceed straight ahead (about 10 feet) and turn RIGHT and walk along the perimeter of the Covel Commons building, turning LEFT at the corner, and passing the Covel Commons Lobby doors. at the base of the steps. 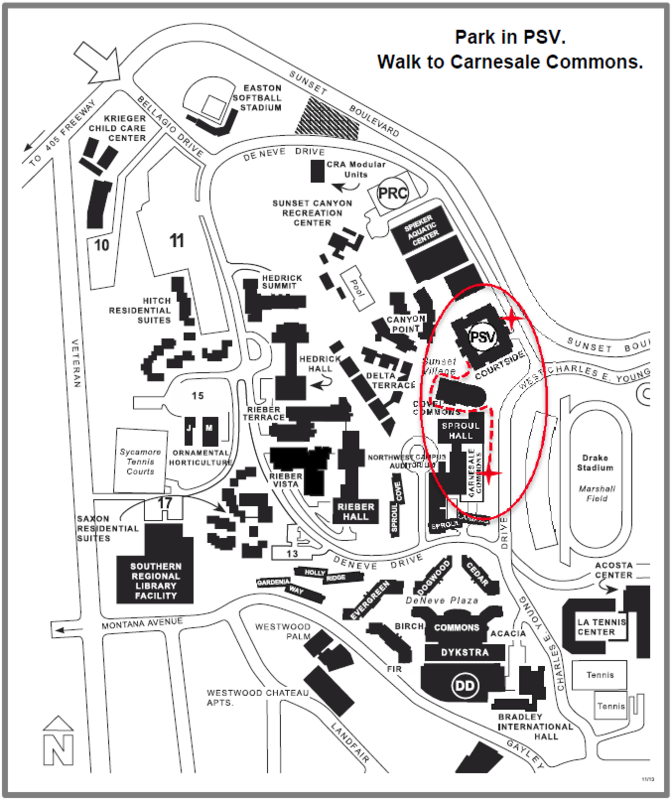 Follow the sidewalk passing Sproul Hall to Carnesale Commons. Enter the building through the double glass doors or take the building’s exterior staircases to you destination. Rooms are located on the 2nd Floor.